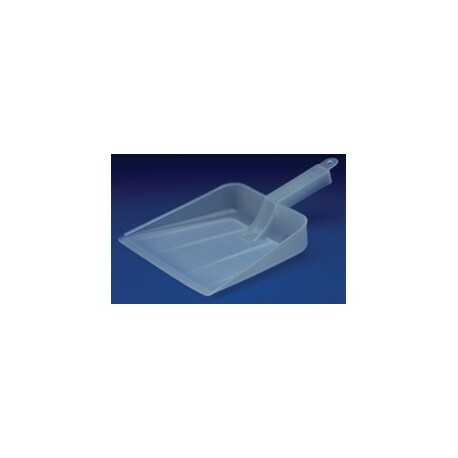 Designed with a very thin forward edge for efficient collection of fine dust, the POLYPROPYLENE DUST PAN is also excellent for picking up spilled liquids and semi-liquid wastes. A curved rise near the front edge prevents contents from accidentally spilling out. A deep back keeps contents in place to ensure safe transfer and proper disposal. 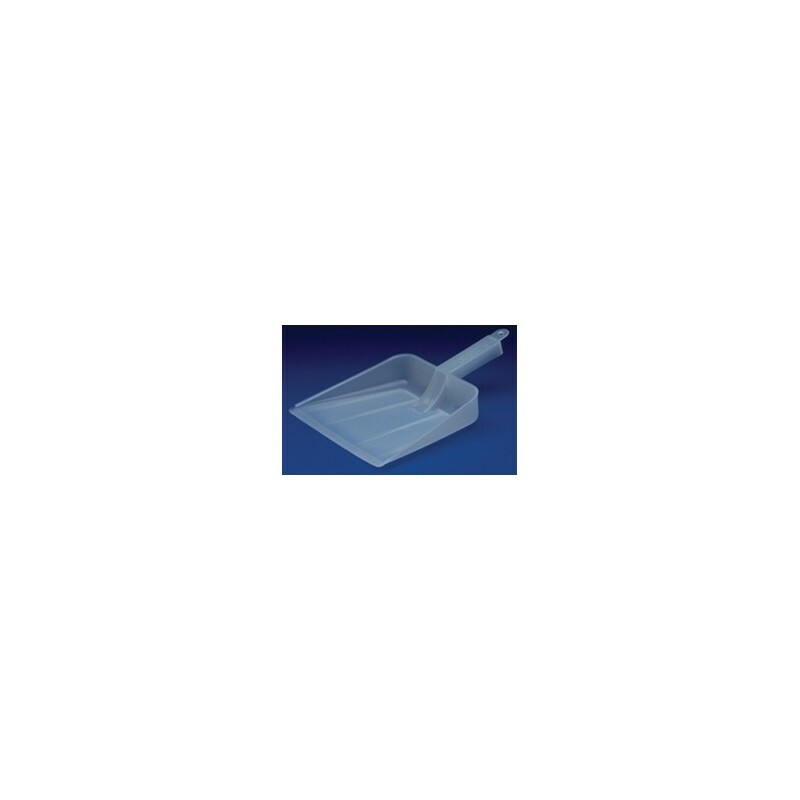 The POLYPROPYLENE DUST PAN's integral handle promotes comfortable handling. Steam autoclavable at 250F (121C). 8" across front x 6-1/2" deep x 2-1/4" high back (203 mm x 165 mm x 57 mm), 4" (102 mm) long handle. Sold individually.